This intensive short course prepares participants to implement Personal Best, a 16 session group curriculum and Home Visiting Guide for individual sessions. The training will focus on adult development as well as parent-child and family relationships. Personal Best is a theory-driven prevention program that promotes parent mental health, social support, healthy coping and sense of self-efficacy in multiple roles. Sessions are divided into four modules that address different areas of role functioning: (1) role strain, (2) parenting, (3) relationships, and (4) work/productive activity. Through a combination of lecture, discussion, videotape, role play and experiential exercises, participants will: 1) enhance their knowledge of the multiple influences on parent well-being and the parent-child relationship; 2) understand the impact of stress on parenting behavior and the developing child; 3) help parents develop the social-emotional and executive function capacities to promote their child’s development; 4) learn how to individualize goal setting activities to promote mastery and family self-sufficiency; and 5) develop skills to facilitate groups. Judy Grossman, DrPH, OTR is Associate Director of Ackerman’s Center for the Developing Child and Family and Director of Ackerman’s Resilient Families: Children with Special Needs Project. 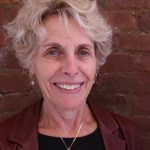 In addition to her family therapy practice, Dr. Grossman is adjunct faculty at NYU’s Department of Occupational Therapy; public health and special education consultant and policy analyst; and creator of the Personal Best prevention program for parents.